We are a small homestead tucked beneath Mt. Rainier. Announcement Hi everyone! We hope you are as excited as we are that our shop has re-opened for the new year. We hope to have more items to offer soon! From now until the end of the year, your purchases will go to support someone in our family who is dealing with the devastating effects of Breast Cancer. So, THANK YOU for your orders! Hi everyone! We hope you are as excited as we are that our shop has re-opened for the new year. We hope to have more items to offer soon! The pedi bar is great in the shower for exfoliation and is gentle and smells soooo good! I got one for me and a couple to give as gifts. love it! I made the syrup and started taking it preventively. A week later my husband and I got colds. Mine has been so much milder and usually it's the other way around! Very tasty, I've been adding it to my morning tea. Love the look and the scent. Lavender Lace Soap - Now Larger Bars!! Our Elderberry Syrup Kit is one of the best out there. Our berries are foraged from the forests surrounding Mt. Rainier and then freezedried so they retain not only their freshness but their nutritional value. Are one of these going out to YOU? Thank you for your orders - it really mean the world to us. Whether you are purchasing our soaps, honey, elderberries... all your purchases insure I can continue to kick cancer in the patootie! We take such pride in each and every order we package up for you! Our Elderberry Kits are some of the best out there. We are a small homestead tucked beneath Mt. 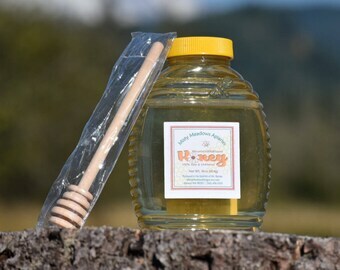 Rainier in the PNW, selling raw local honey & making luxury, handcrafted soaps, salves, balms. While dealing with our own health issues, we encountered a system that tends to 'throw' medication at the problem rather than getting to the root of it. There is a time an place for pharmaceutical intervention, however, we began exploring other, more natural ways to bring comfort. This lead us to creating products that not only helped us, but helped those close to us, so much so we decided to offer them to you! We strive to create products that are handmade, using locally and/or ethically and sustainable sourced botanicals and additives. Many of these are harvested from the wilds of our own homestead – they grow naturally, without our help or interference, meaning they are never exposed to any man-made (and often harmful) chemicals. Though we do use some synthetic fragrances and colorants, the majority of our scents and colors are obtained through natural sources and processes such as essential oils for scent and botanicals long used for dyeing fibers and work well in soaps and other skin care products. Our products are AMAZING and our customers have found what they needed. Yes, that’s pretty vague. Unfortunately, the FDA prohibits us from making any specific claims regarding our products. Within our listings we provide a list of our ingredients which you can research on your own and come to your conclusions. Soap bars will last longer if allowed to dry between uses. For best results do not allow soap to remain in standing or running water. Due to the nature of our products, we cannot accept exchanges, but we are more than sure we can work out an arrangement that will please you. If for some reason you are NOT happy, please contact us as soon as possible. None of our products or descriptions of our products have been evaluated by the FDA. Our products are not intended to diagnose, treat, cure or prevent any disease or skin condition. Although we only use ingredients regarded as safe for the skin, we are not liable for any allergic reaction, skin sensitivity, and/or irritation you may incur from using our products. Warning! Do not feed to infants under 1 year of age. All pure honey will thicken and eventually crystallize, especially in cold weather. To restore it to it's liquid state, stand jar in warm/hot water until liquid. If honey is in a plastic bottle, make sure the water isn't hot enough to melt the plastic.